HONG KONG - Pioneering Hong Kong movie producer Run Run Shaw, whose studio popularized the kung fu genre that influenced Quentin Tarantino and other Hollywood directors, died Tuesday. His Shaw Brothers Studios, once among the world's largest, helped launch the careers of powerhouses including director John Woo and churned out nearly 1,000 movies. His television empire helped actors including Chow Yun-fat rise to fame. He also produced a handful of U.S. films, including the 1982 sci-fi classic "Blade Runner." Other stars rose to fame through Shaw's television station TVB, which remains a dominant force in Hong Kong. Wong Kar-wai, the director behind critically acclaimed art-house movies like "Chungking Express" and "In the Mood for Love," got his start through a TVB training course and worked at the station briefly as a production assistant. Ironically, one actor who slipped through Shaw's grasp, Bruce Lee, went on to become the world's biggest kung fu star. Shaw produced a handful of U.S. films, including "Blade Runner" and 1979 disaster thriller "Meteor." 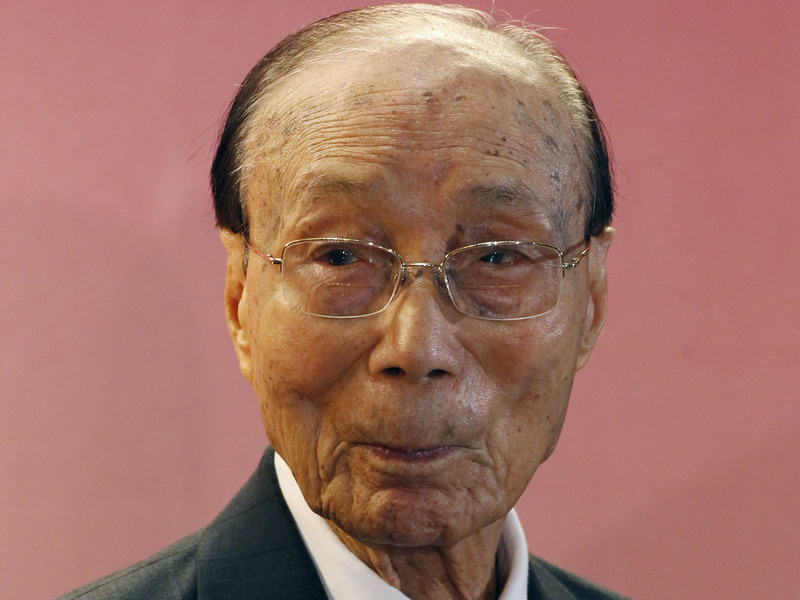 He led Hong Kong's Television Broadcasts Ltd. until retiring as chairman in December 2011 at the age of 104. Shaw was born near Shanghai to a wealthy textile merchant. One of his six siblings, elder brother Runme Shaw, set up a silent film studio, Unique Film Production Co. Shaw and a third brother, Runje, went to Singapore in 1923 to market films to southeast Asia's Chinese community and eventually opened 139 movie theaters across the region. The movie mogul failed to spot the potential of a young Bruce Lee, who had returned to Hong Kong after a stint in Hollywood. Lee wanted a bigger salary and creative control of his films. But Shaw wouldn't budge from the standard contract given to all his actors. Film production ceased in 1983, but by then Shaw had switched his focus to television. In 1973 he took control of TVB, which remains Hong Kong's dominant TV station. It served as the launching pad for the careers of talents including actor Chow Yun-fat, Wong Kar-wai, heartthrob Andy Lau and comedian Stephen Chow. The broadcaster's Chinese language channel is also popular in southern China and its Chinese programs, many dubbed into other languages, are seen by 300 million households around the world. Shaw, knighted by Queen Elizabeth II in 1974, was also a philanthropist. In 2002 he founded the annual Shaw Prizes, Asia's version of the Nobel Prizes. The honor offers US$1 million annually to winners in mathematics, medicine and astronomy.